Judge: Former South Korean Leader Park Guilty of Abuse of Power, Coercion - Integration Through Media ....! 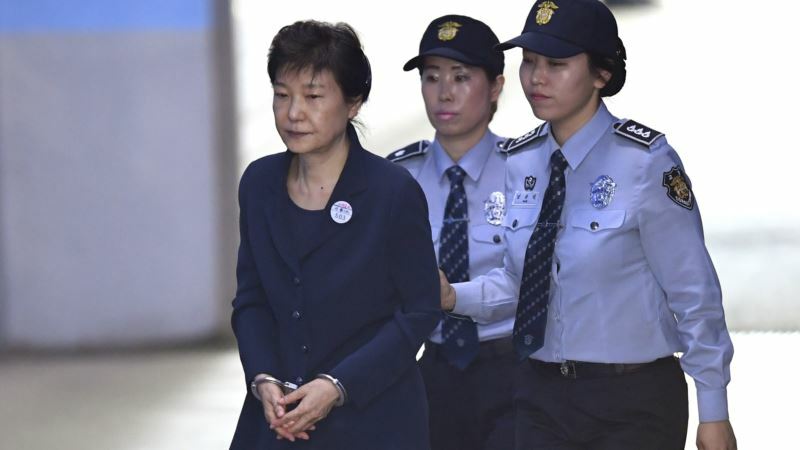 (VOA): A South Korean judge says former President Park Geun-hye is guilty of abuse of power and coercion. Park has been held at a detention center near Seoul since her arrest in March 2017, but she refused to attend Friday's court session citing sickness. Park was removed from office early last year following months of massive rallies that saw millions take to the nation's streets calling for her ouster.